Chelsea is an adventurous globetrotter who works in marketing for the travel tour company, smarTours. She’s been to 10 different countries and explored most of the U.S. Her passion is writing about the unique places she discovers and distinctive experiences she has around the world. Follow along Chelsea’s adventures on Instagram, thetravelingfemale. 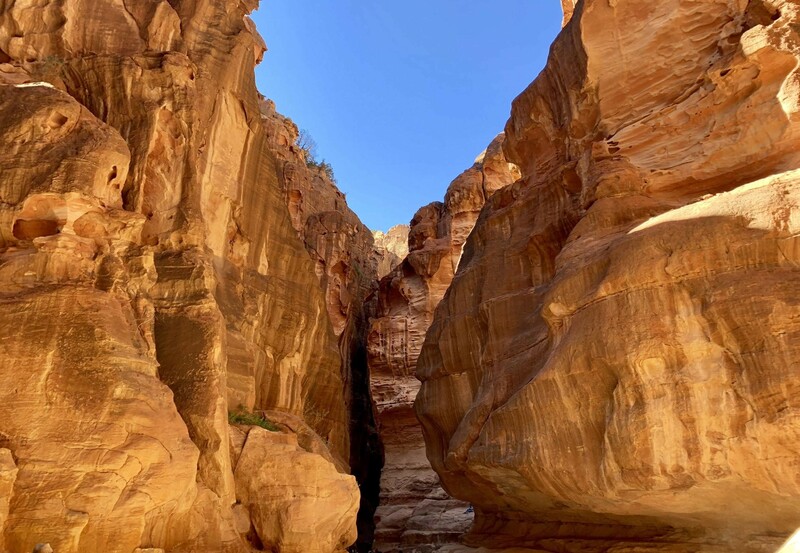 It’s no secret that Jordan was a top travel destination in 2018 and remains a desirable trip for travelers in 2019. Social media has exploded with stunning images, captivating videos, and incredible stories from those who have visited. 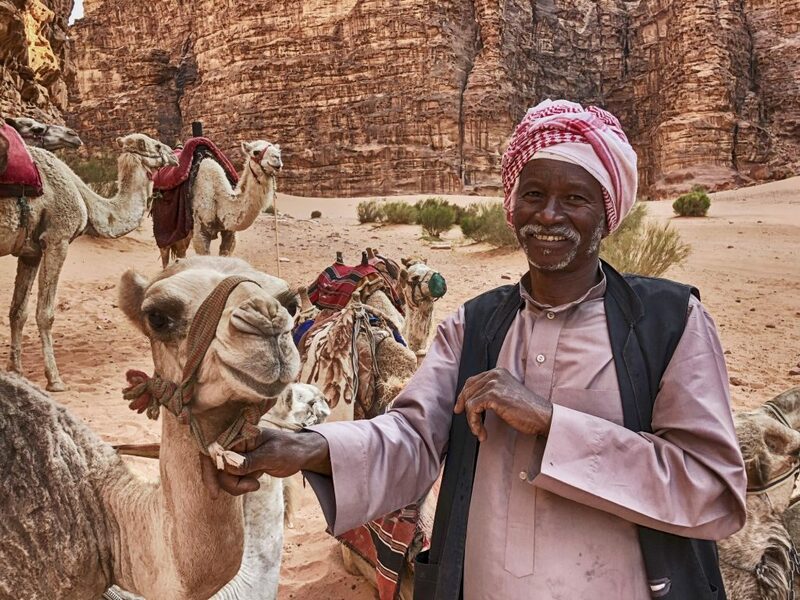 With historical wonders, camel rides, desert aesthetics, and one-of-a-kind culture, it’s easy to see why Jordan is such a special place to visit. Here are six reasons for Jordan’s major travel industry success—and why you should make the trip there yourself. The culture, people, and heritage of Jordan are a huge draw to the country. Although there’s western influence, the people blend together the old and new. On Rainbow Street in the capital of Amman, there lives a modern hub of trendy restaurants, boutique shops, and vibrant nightlife. But, throughout the city you’ll still see many people wearing traditional clothes, restaurants serving classic Jordanian cuisine, and historical sights standing proud. Handicrafts and mosaics are also a distinctive part of their society. In Wadi Seer, the Iraq Al-Amir Women’s Cooperative trains women to make traditional handicrafts and products like soap, pottery, clothing, and more. This provides job opportunities and keeps their heritage alive. 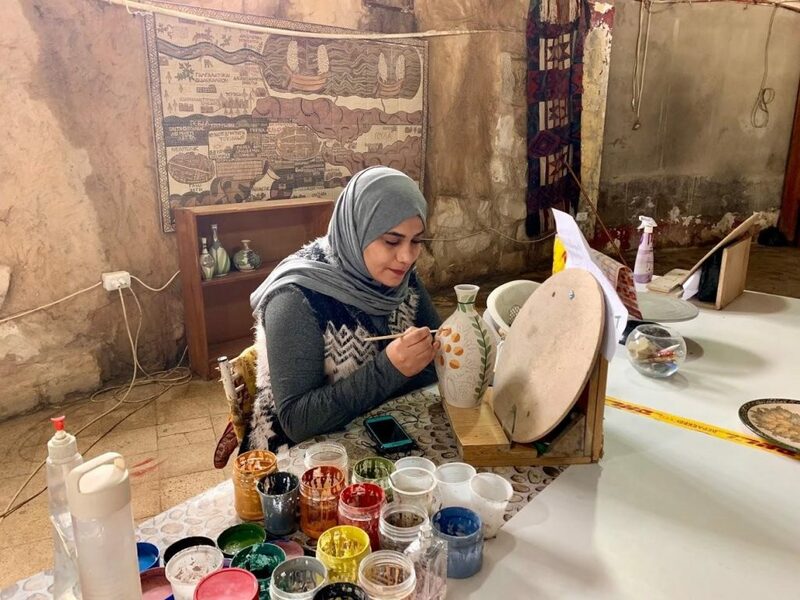 In Madaba, “The City of Mosaics”, the Madaba Arts & Handicraft Center employs handicapped Jordanians and trains them on the art of mosaics. This was established by Queen Noor, the American and fourth queen of Jordan. 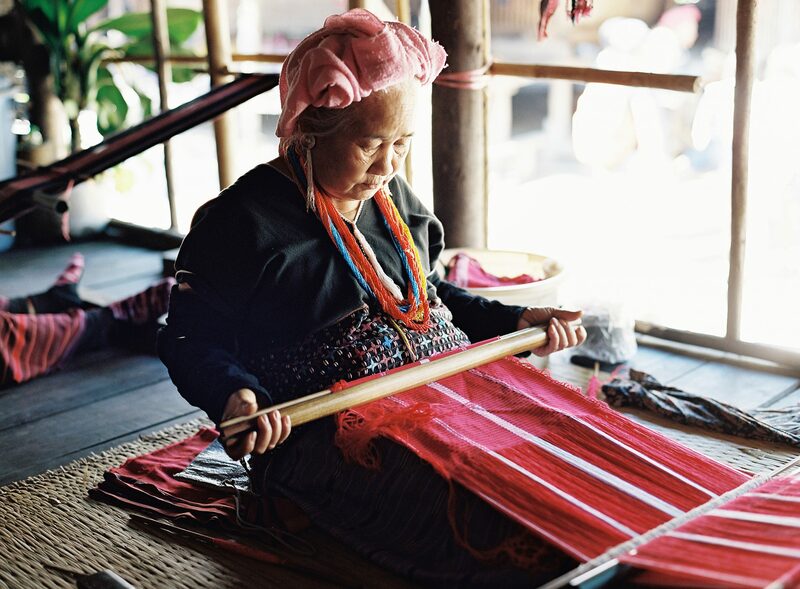 The country has a rich history intertwined with various dynasties and ancient empires—no matter what city you travel through, there are stories and history to be told. In the city of Petra, a new Seven Wonders of the World, you’ll walk amongst land that Arab empires and Western and Eastern dynasties all once ruled. At the Al-Khazneh temple nearby, travelers admire the elaborate temple steeped in Bedouin history, as camels pose in front of it for a perfect photo op. 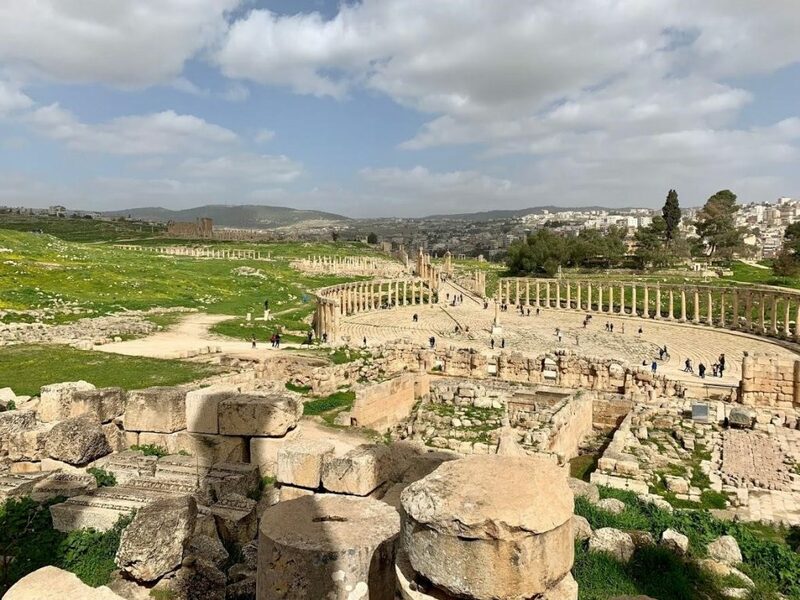 Visitors to Jerash will discover some of the most well-preserved ruins from the Greco-Roman empires during the 1st to mid-8th century before an earthquake destroyed most of it. It’s said that these ruins rival the ones in Rome. Religion is a quintessential part of the country’s DNA. People of Muslim and Christianity faith co-exist peacefully, which makes Jordan a welcoming and safe place to visit. Throughout the country you’ll find a plethora of Holy sites, churches, mosques, and temples. 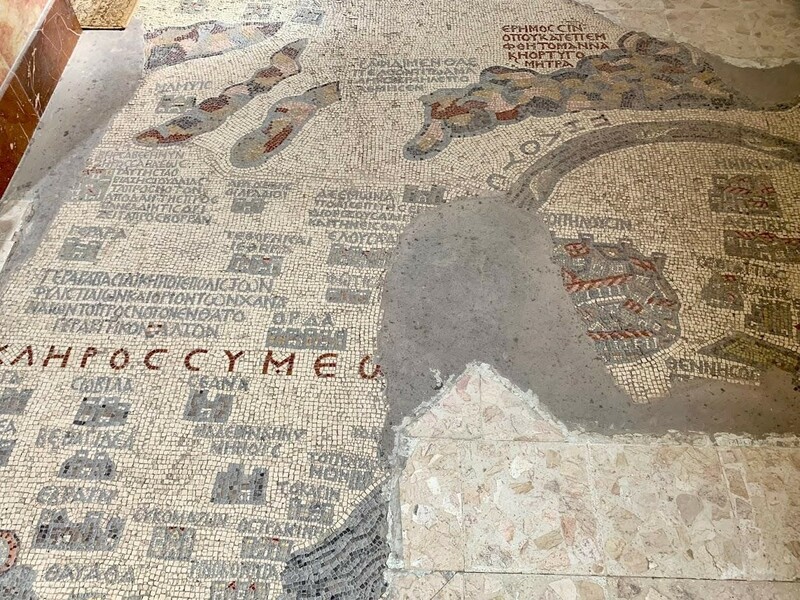 In Madaba, a city of Christainity, there’s a well-preserved 6th-century mosaic map of the Holy Land in the Greek Orthodox Church of St. George. And at Mount Nebo, the presumed site of Moses’ death, there’s beautiful views overlooking the Holy Land and Dead Sea. Traveling from Petra to the Dead Sea, you can see where Jesus was baptized at John the Baptist’s settlement at Bethany Beyond the Jordan. There are inevitably misconceptions about Middle Eastern countries, but Jordan’s a great testament to how wonderful it is to explore this area of the world. A lot of that has to do with its hospitable people. They continually invite and encourage people to visit their home because they are proud of their heritage and want others to learn more about it. Their economy also thrives on tourism, so they ensure you have a unique and memorable trip. 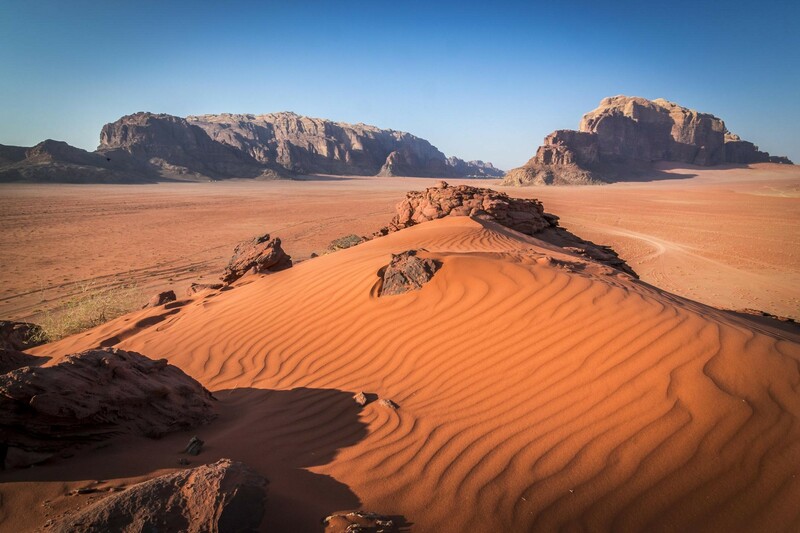 Jordan has range of landscapes that are not only breathtaking, but are also easy to reach. You’ll be able to wander through the mesmerizing sandstone terrain of Petra, and then with a short drive, be at Wadi Rum having a Jeep adventure over the golden desert dunes while rugged mountains surround you. 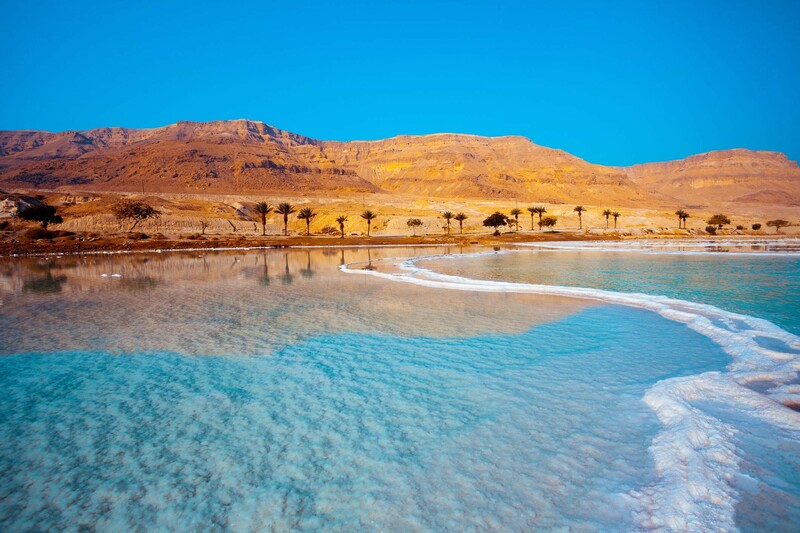 Jordan’s also famous for the Dead Sea, the deepest hypersaline lake in the world. Wherever you stay, you won’t be far from an afternoon of floating in the lake’s clear blue water. Jordan’s Mediterranean-based food is a delicious experience. 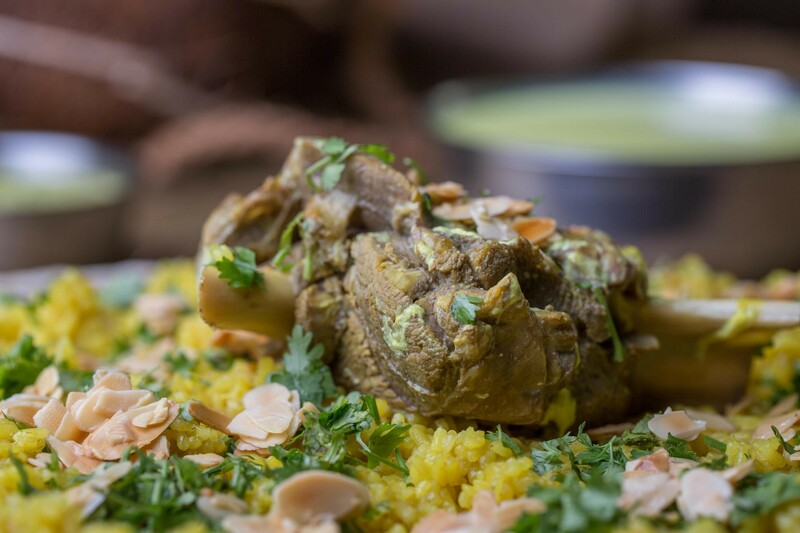 Mansaf, a lamb dish, and Maqluba, a meat, rice, and vegetable dish are very popular, as is Turkish coffee, lime and mint juice, and Barazek cookies. Bedouin people commonly cook Zaarb, a dish of marinated meat mixed with vegetables, slowly baked in a pit of hot coals covered by sand. Interested in learning more about Jordan? 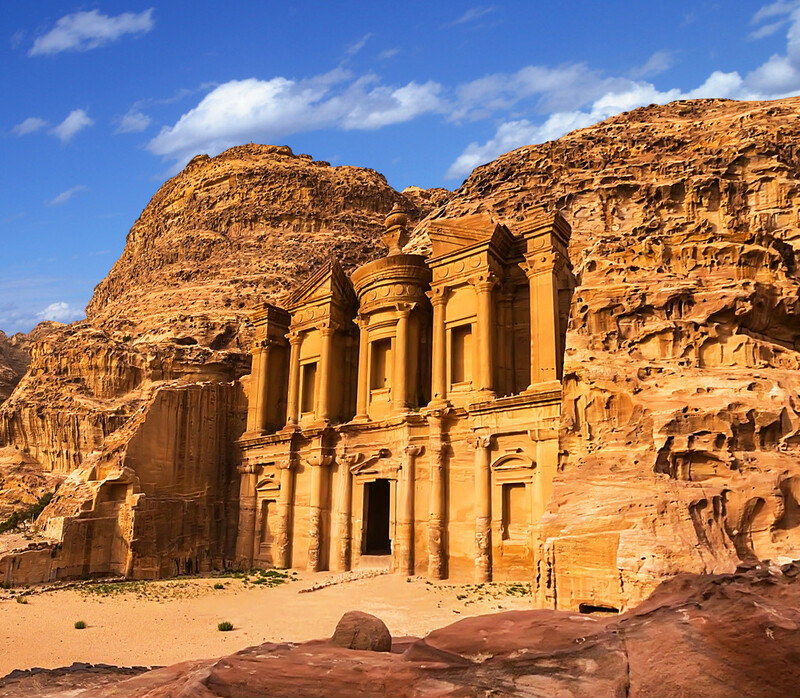 Check out the new Journey Through Jordan tour by smarTours, a brilliantly curated trip for an affordable price that includes airfare and taxes! smarTours offers 50+ one-of-a-kind tours across all seven continents. Every one of their tours include expertly curated itineraries, airfare and taxes, passionate guides, 4-star+ accommodations, and smart-sized groups averaging 23 travelers. Some of their most popular tours include Egypt, South Africa, China, Greece, and Peru. 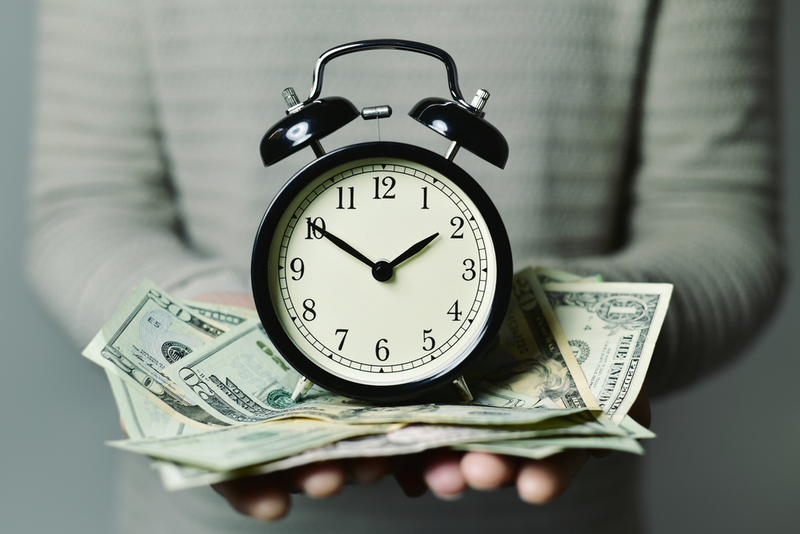 Booking trips independently can get expensive fast once hotel accommodations, activities, and flights are factored in. It can also be time-consuming when coordinating all of the travel plans, activities and itineraries on your own. When you book through a tour operator, you get the added benefit of having a one-stop shop, which includes flights, comfortable accommodations, and extensive included sightseeing activities and comprehensive itineraries all at a great value. Traveling to a new destination solo can be daunting. You are visiting an unfamiliar place, you do not know what to expect, there are language barriers, and safety is often a genuine concern. When you travel with a tour operator, you are provided the peace of mind that you will be taken care of from beginning to end. You already have enough to consider when planning, and knowing you will be in good hands during your trip sets you up for an unforgettably pleasant adventure! Instead of journeying through the unknown alone, you get to enjoy your vacation under the care and guidance of a local tour director who will enhance your overall travel adventure and show you the best parts of each destination, help you to navigate any language barriers, and give informed recommendations of where to visit during your stay. While being exposed to new languages is benefit of traveling, it can be challenging when you are attempting to communicate only to be faced with a language barrier that requires you to tap into your inner Charlie Chaplin, and act out every question you have. 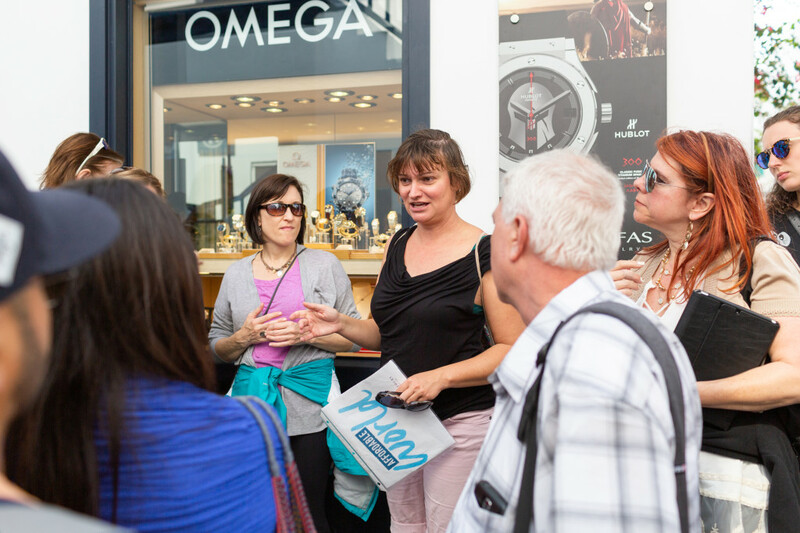 With a tour operator, you have a dedicated English-speaking tour director to show you around, explain your surroundings, as well as answering any questions that you may have. It makes for a much smoother and pleasant experience to have someone available to assist you throughout your trip. One of the most exciting parts of travel is experiencing and learning about new cultures. Along with the already cultural experiences built into your itinerary, you will have the insight and expertise of your local tour director who can recommend the best local, immersive experiences, food, and more! Plus, generally speaking, people are proud to share their heritage and culture with visitors so it’s a win-win! 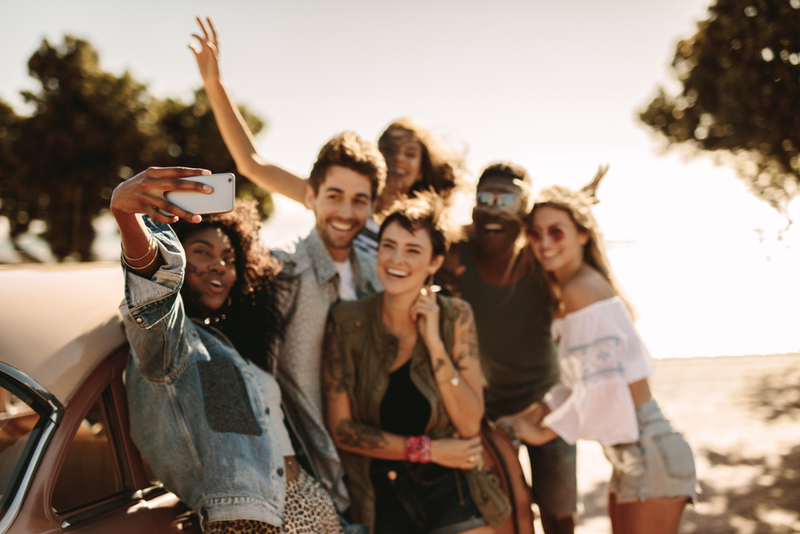 Booking a vacation is exciting, but can also be stressful – there are tons of factors to consider and planning it all alone can be overwhelming! For a truly relaxing travel experience, using a tour operator will alleviate the stress of planning a vacation. We will take care of all the details for your next adventure including flights, accommodations, and comprehensive itineraries. All you do is select which adventure suits you best, and with just a few clicks, you are all set. Make your next adventure the best one yet and book through a tour operator. Bon voyage! Interested in learning more about Affordable World? Visit www.affordableworld.com. With over 35 years of experience and a mission to provide the highest quality tours at an affordable price, Affordable World strives to deliver an exceptional, unparalleled vacation that will transport you to the very heart and highlights of each destination. As a business, we hold our family-run values close. We make great service, integrity, quality and affordability a part of everything we do. When you travel with us, you feel like part of the family knowing that your happiness is our top priority. We believe the best tours combine comprehensive itineraries with extensive inclusive sightseeing, top hotels and excellent value. So we’re proud to be one of the few travel companies to offer exactly this blend.